Sustainability is a profound opportunity disguised as a problem. It provides additional impetus (as if it were needed) for the wise, smart, rational use of energy and resources, and potentially inexhaustible sources of energy and materials to build and sustain civilization today and for generations to come. The principle is taking many forms, including efficient land use integrally tied to multi-modal transportation networks, optimized public infrastructure, renewably sourced energy and "cradle to cradle" consumer product design and "processing". 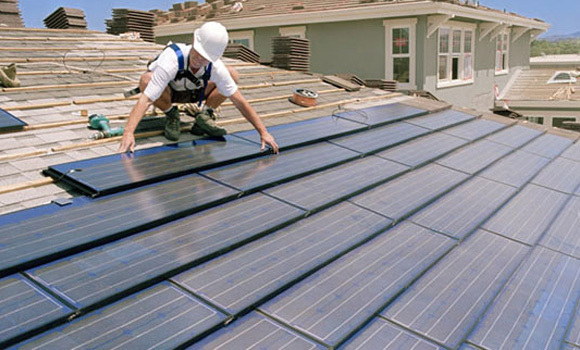 Town of Apple Valley Climate Action Plan was prepared in conjunction with Terra Nova's updating of the Town's General Plan and Development Code. The CAP has received the Beacon Award from the Institute for Local Government and is recommended as a model for other municipalities by Southern California Edison. 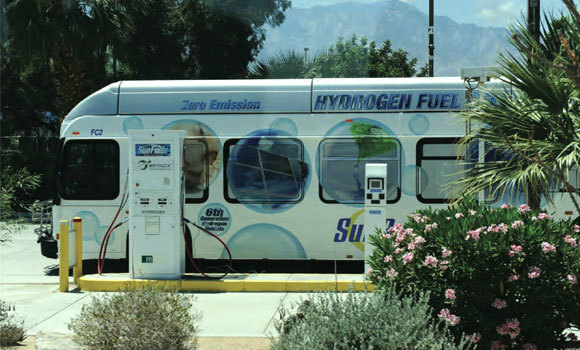 City of La Quinta Greenhouse Gas Reduction Plan was developed concurrently with the Terra Nova update to the City's General Plan, and has served as the driver for policies throughout the General Plan that address not only greenhouse gas emission but sustainability in general. College Park Specific Plan Greenhouse Gas Analysis and Reduction Strategy was prepared concurrently with Terra Nova's drafting of the Specific Plan, which is founded on sustainability principles throughout and that are integral to the College of the Desert's West Valley Campus curriculum. 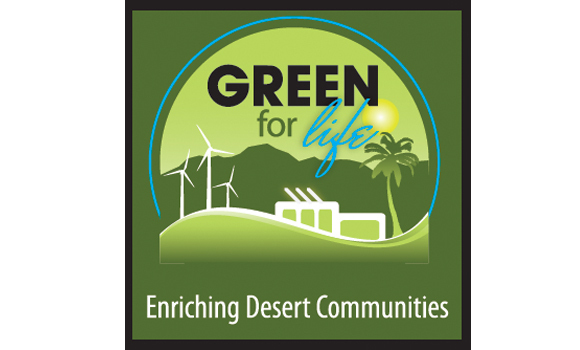 Green for Life Initiative was prepared for the Coachella Valley Association of Governments and funded by Southern California Edison. 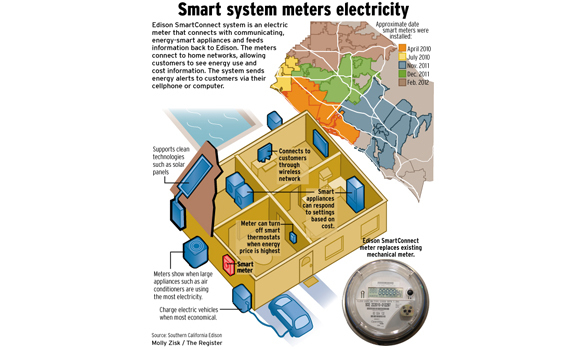 Terra Nova's team created a Green Building Policy, Building Benchmarking Policy, sourced energy management software for application to municipal buildings, and a Commissioning and Retro-Commissioning Policy. 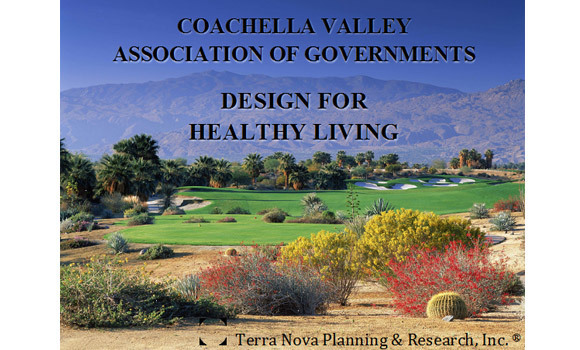 Healthy Communities Symposium at the University of California-Palm Desert was sponsored by the Coachella Valley Association of Governments. Terra Nova contributed printed and presented materials, and served on panel discussions. Renewable Energy Projects have been an important part of Terra Nova staff's experience and includes large-scale solar photovoltaic and thermal projects, windfarm development, as well as extensive policy background on local, state and federal levels.